Last year we started using an online ticket service for the fly-in. Getting tickets to the event on the web was the only way for people to attend. Most people used it with ease, a few struggled, and a few hated it. If you struggled, this time it should be a little easier. That's good because we're using the system again and we hope to see you here. Here's how it works. 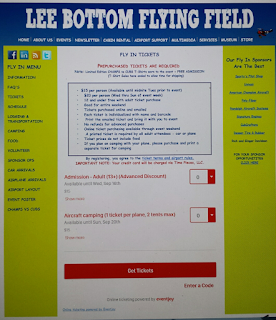 You go to the Lee Bottom fly-in tickets page and order tickets the same way you would order something from Amazon, Sporty's, or Ye Olde Curiosity Shop. If you've never bought anything online it's time to learn. 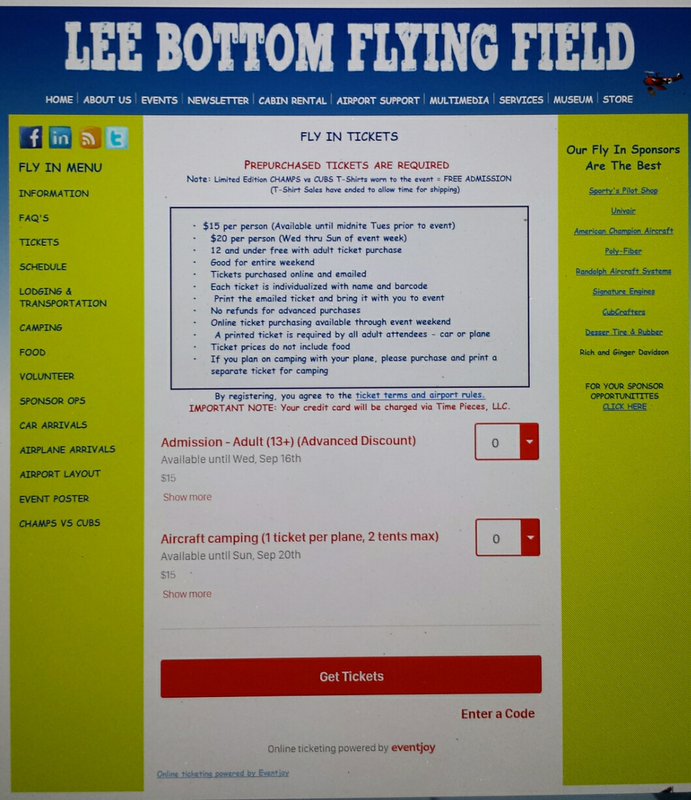 When you get to the page, at the bottom you'll see two locations to choose how many tickets you need. Choose what you need (note under 13 free) then hit the red "Get Tickets" bar. That will get the ball rolling. Be sure to enter all required fields. When you are finished placing your order, the tickets will be emailed to you. Print them out and bring them to the fly-in. That's all there is to it. This year we also added another option for ticketing. If you are signed up for our newsletter or facebook page, you know we ran a t-shirt contest. The people who bought the shirts will use them as their tickets. They'll wear it to the event and that is how they will get in. That contest is now over and all the shirts have been printed and shipped. The only point of mentioning it is to point out there was another option for getting in. 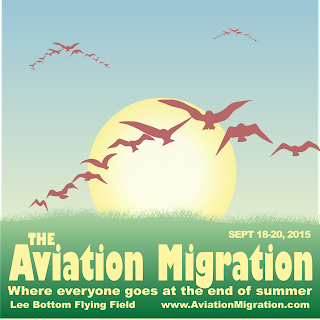 Additionally, discounted tickets are available again this year. If you purchase yours online before the end of September 15th, you'll get the discounted price. After that the ticket prices go up. One final note. Buying your tickets before the end of Tuesday helps us plan for the amount of food needed at the event. This was one of the primary reasons for going to this system. Thanks for participating.